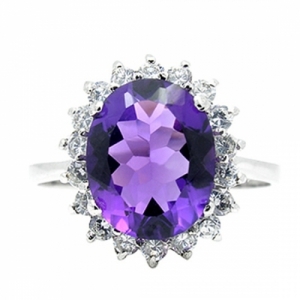 100% Genuine Amethyst CZ Diamonds Ring, the style is very similar to Prince William Kate Middleton Oval Sapphire Engagement Ring. Elegant design. 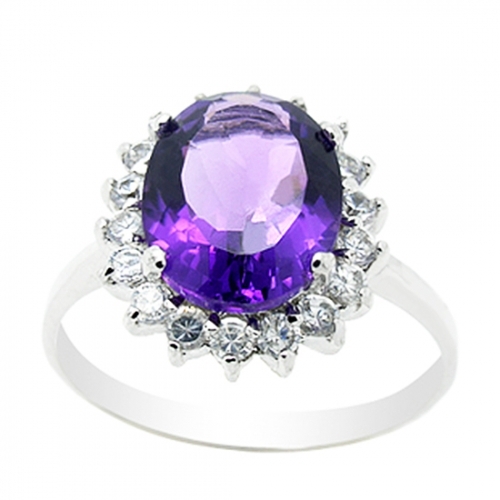 The metal material is 925 silver, 3 layers of white gold plating, anti-oxidation treatment to keep it shiny always. A nice jewelry box is included! It is the Gemstone for 6th Anniversary. Birthday Stone for Feb.